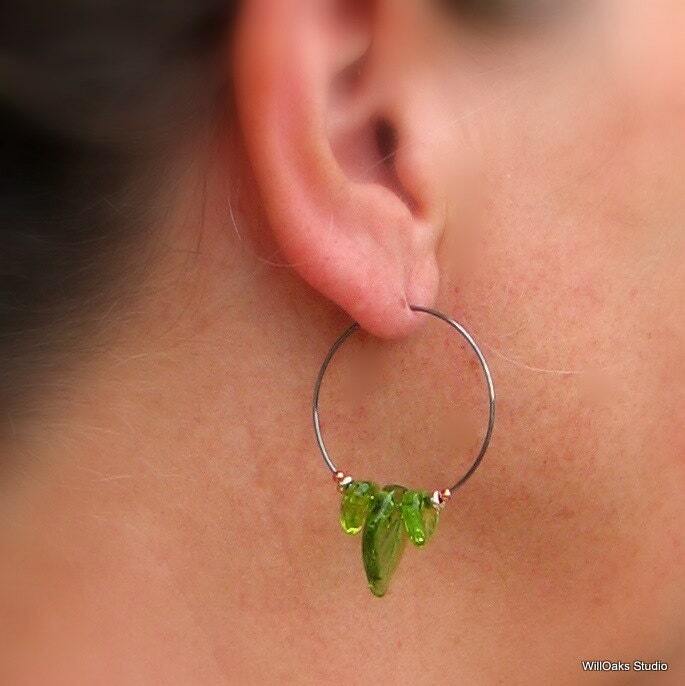 Oxidized sterling silver handmade hoop earrings with gold filled and copper beads and peridot green glass leaves that cluster at the bottom of the hoops. 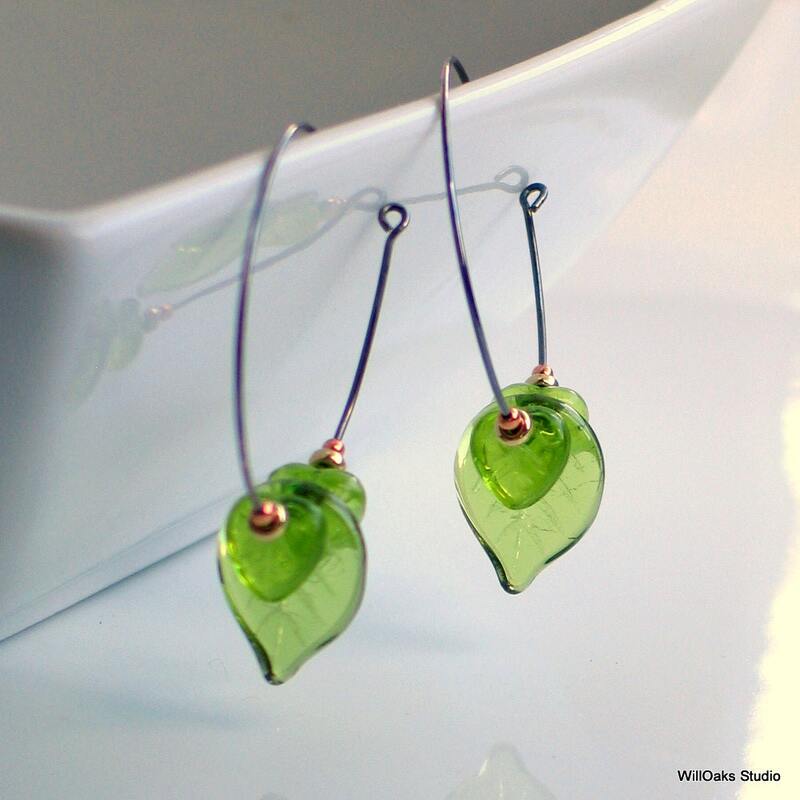 Czech pressed glass-the prettiest kind-in a transparent green color like peridot stones. 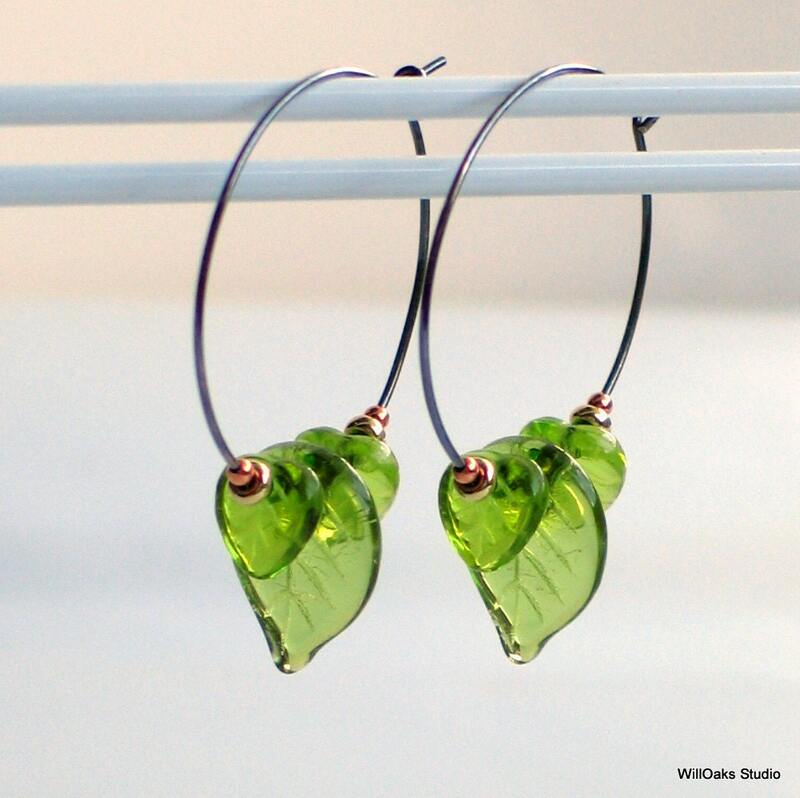 Fun Spring nature earrings, light and swingy. I make metal hoops of sterling silver and tumble them for strength which helps make the 20 guage wire circles hard & springy. Then they are oxidized and buffed before a dainty collection of mixed metal beads and green glass leaves are added. Very lightweight and an edgy take on mother nature. Made to order. Hoop is about 1 1/4" diameter and the leaves add about 1/4" to the total length. 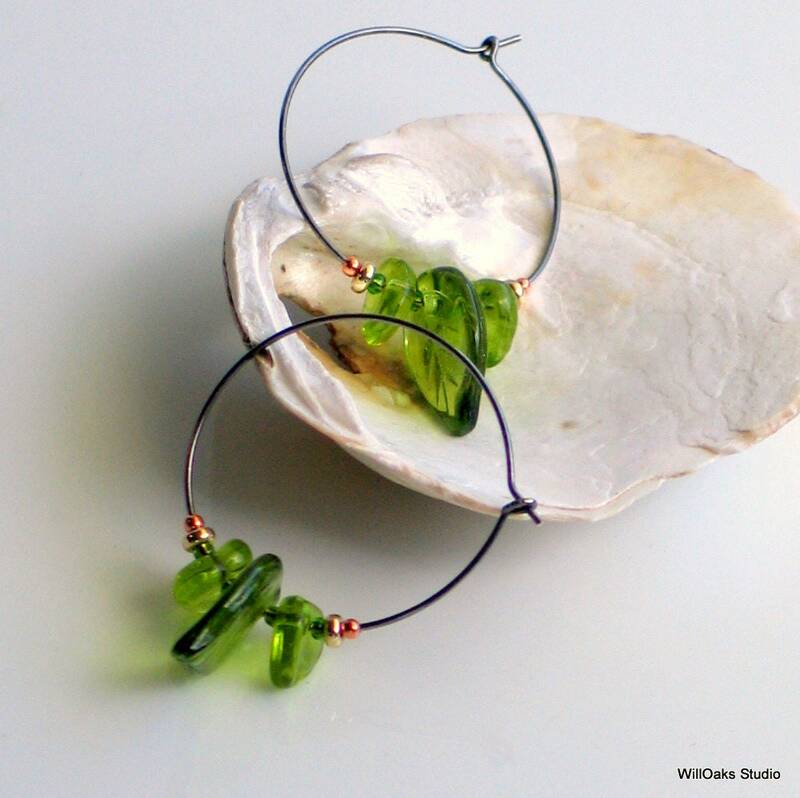 Designed to coordinate with many of the green glass and peridot pieces in my studio or to enjoy all alone. 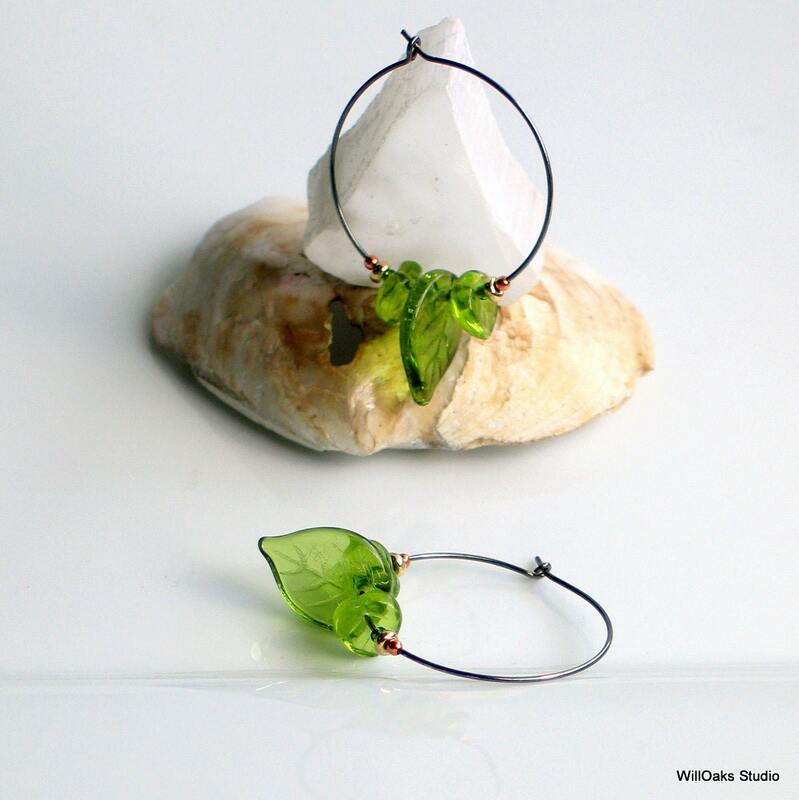 pale green glass leaves complemented by copper and gold beads; lightweight hoops that are perfect for Spring! Karen's jewelry is so beautiful and unique. I treated myself to a pair of earrings with my ETSY giftcard. I highly recommend this shop. Quick and friendly service too. Oh so special - workmanship - superior - lovely, dainty and perfect earrings!